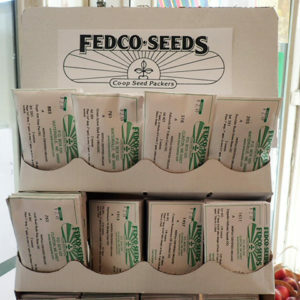 Fedco is a seed company organized as a co-op. There are many, many things to love about Fedco. Adding to that list is the fact that we have a selection of their seeds for sale here! Located in central Maine, they are an excellent source of seeds suited to northern growning conditions. Love heirlooms? Prefer hybrids? Want organic seeds produced on New England farms? Have a favorite conventional seed that you couldn’t garden without? 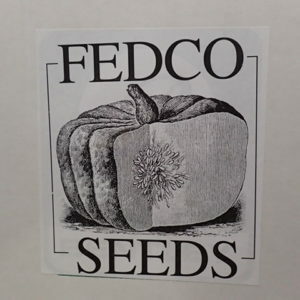 Whether it is vegetables, flowers, or herbs, Fedco offers great variety, knowledge, and service. Look for our display in the produce department near the shopping carts. 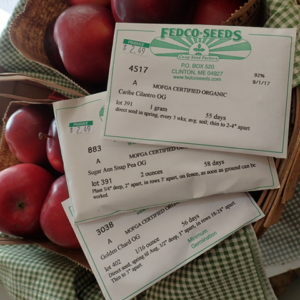 If you don’t find what you’re looking for, here’s the link to the entire catalog: https://www.fedcoseeds.com/seeds/.